Vroom Vroom! Hop in a Sykart Go-Kart and race to your heart's content. 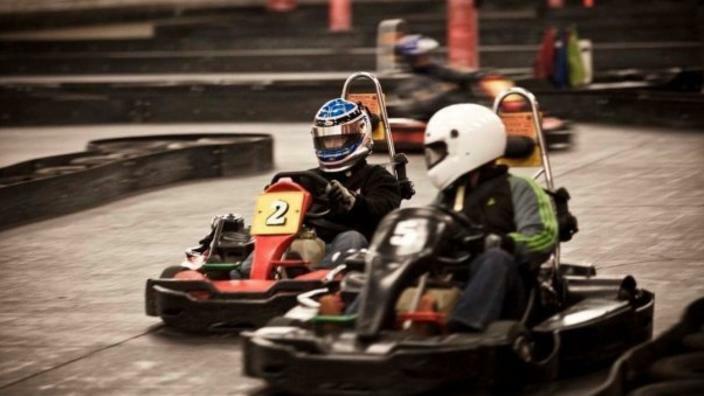 Special 29% off race package includes two 10-minute race sessions with karts competing in head-to-head racing with winners determined by best lap time. Sykart Tukwila features a 1/4 mile indoor full-speed Main Track with high performance Sodikart GT5 and GT3 go-karts capable of traveling up to 40mph on track. ***Note*** Please don't eat right before! However, we will have a party room so bring food and beverages to share for after racing. *** >>Limited Space of 12 People Max. Purchase your ticket to save your spot!<< Plan on arriving by 7pm to allow for registration and a safety briefing for all participants. DRIVER’S BRIEFING – A Driver Briefing will be held after your entire party is registered, or before the scheduled Racing Start Time (whichever is earlier). Anyone not present for the Driver Briefing may not be able to participate in all of the scheduled races.